Can be red, orange, yellow, colorless, with a bluish play of color, "schiller". 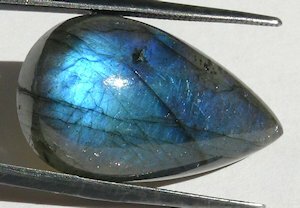 Spectrolite is the name for the Finnish labradorite. 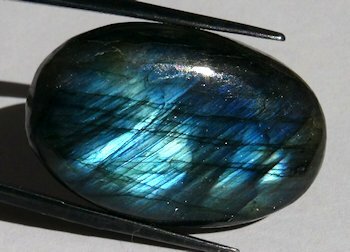 Labradorite is not known to be enhanced. With violet, and blue sheen. 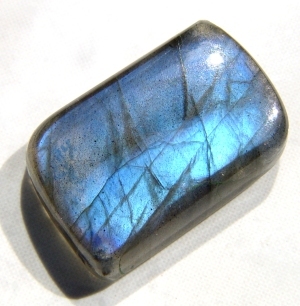 A Colorless with a general bluish/rainbow colored sheen, good cut, good polish.